It has been very hot in Weihai, and taking long walks in the middle of the day is unpleasant. The sun comes up around 4:30, making it difficult for me to sleep, so I’ve decided to do my walking early. I was on the beach this morning at 5:00. 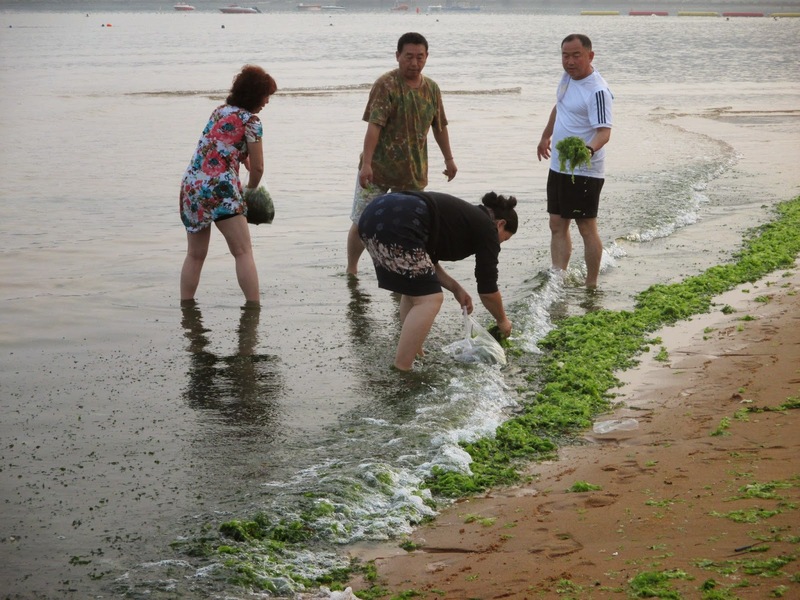 The tide had brought in a great deal of bright green sea weed, and people were picking through it. I imagine people have done this for centuries. Seaweed is boiled and served with other vegetables. 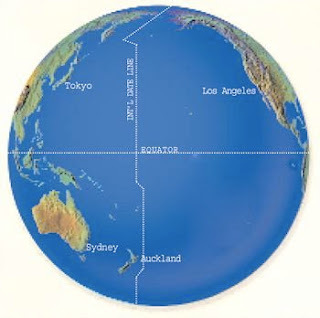 Historically, China was a very poor nation, and of necessity people learned prepare what came out of the sea as food. 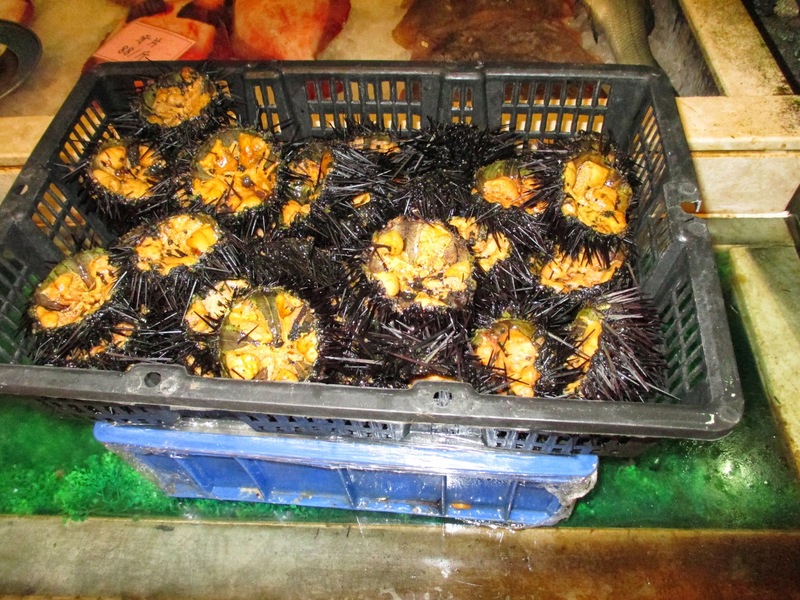 They eat many unlikely looking things such as the sea urchins pictured below.